Amazing big case to show off your computer. Comes with 3 fans. Never had dust issues. from completed build First time in 15+ years Building & about a Grand. This Tower is awesome. After years of small towers I wanted to have something I could work with and in. 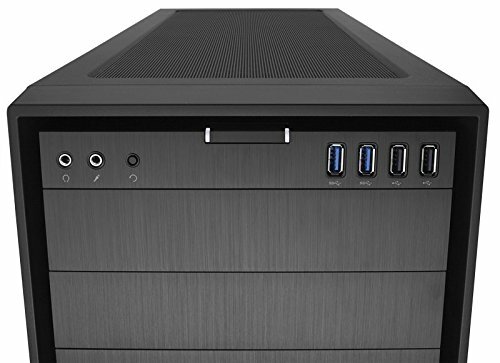 It is very well built and comes with 3 140 mm fans, 2 in the front and 1 in the back. You can unscrew and move a few things around in the tower as well to customize things a bit to your liking. from completed build First Build Personal Gaming Rig! Good case with lots of extra room for cables. Intelligent design makes swapping parts easy. I have to admit that it does feel as though operating margins at Corsair air much higher than other companies. Such a treat to build in! 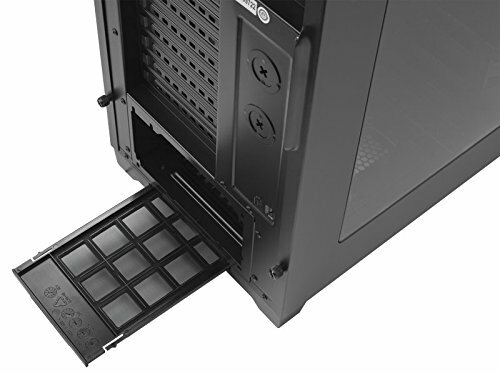 Lot's of cable management room, quite modular, can fit a lot of rads, the removable SSD sled holder things are fantastic, love the brushed aluminum, would have liked to see a more elegant solution to the optical drive bay, but I realize most gamer's don't even use them anymore. Flexible magnetic top filter is wonderful, basically it will hold whatever you need it to and probably more. Yeah the 900D can hold more but it's a bit overly monstrous, really I feel the 750D will do just fine for most. 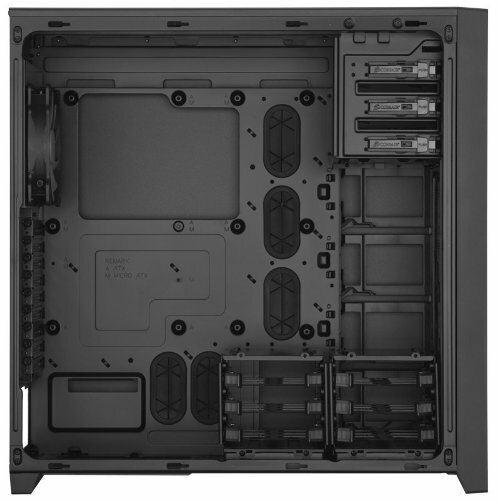 I selected this case because of its size, modularity, aesthetics, window size and tool-free capabilities. This is a beautiful case. I know some of you will say that it's over-kill but it really isn't. I wanted a budget build, with room to improve in the future. This is exactly that. The size is perfect. I love the ability to remove or rearrange the HDD bays. I was able to move the HDD bays from the bottom of the case to be suspended beneath the Optical Drives, that way I can add two intake fans on the bottom of the case for more positive pressure. I love how it's tool-free so I can remove the side panels with the thumb screws. I can also remove the SSD brackets as well be just lifting a latch. I can add HDDs by just flexing the HDD tray wide enough to where the HDD will sit inside and the pegs fit inside the holes. The grommets are very spacious for better cable management. This case allows me to have 7-8 fans total. 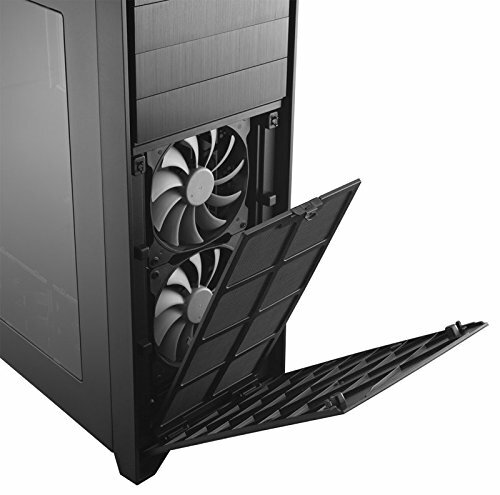 The front fans and the filter is easily accessible by just pushing on the front panel. The top of the case comes with a filter. The window practically takes up one whole side panel so I can admire all of my components without any obstruction.